American Declaration of Independence - The American Declaration of Independence is the founding document of the American political tradition. 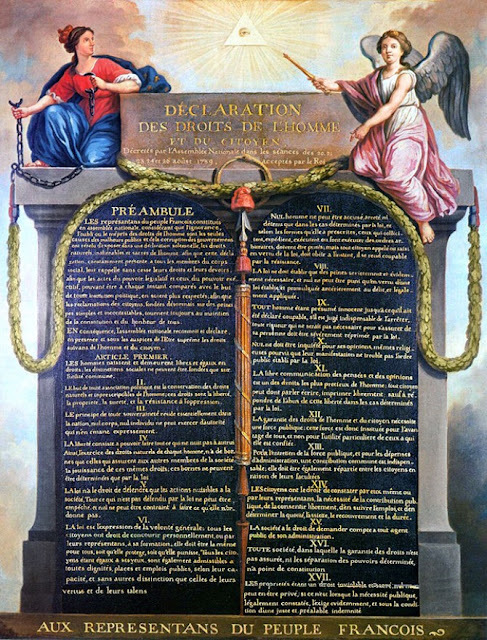 It articulates the fundamental ideas that form the American nation which is that All men are created free and equal and possess the same inherent, natural rights. Legitimate governments must therefore be based on the consent of the governed and must exist to secure these rights. 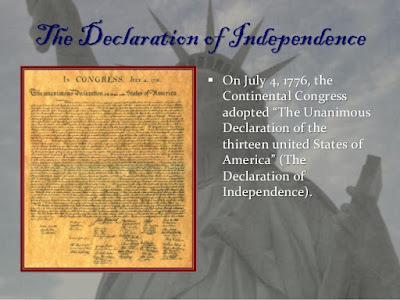 The other ideas espoused in the document were the grievances that the American colonists had against the British and declared the 13 colonies on the East Coast of America as independent on 14th July, 1776. The document lists the basic rights enjoyed by the American citizen and places limit on the Federal government . The rights guaranteed under the Bill of Rights are · Guaranteed freedom of speech, freedom of religion, and freedom of the press · Guaranteed due process of law, including protection from unfair imprisonment · Guaranteed trial by jury; protected people from “cruel and unusual punishment” Since then a lot of written constitutions including Indian Constitution provides for an explicit set of rights guaranteed to the citizens and places limit on the actions of the government. These rights are considered to be necessary to enables realize their potential.